I am an outgoing adventure enthusiast. I love to travel around the world and see new things. 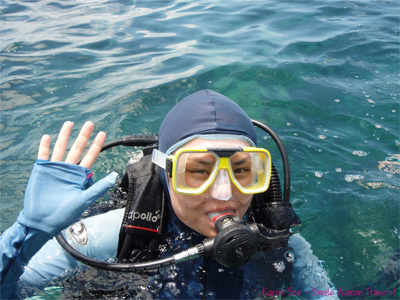 I’m from hong kong and have been scuba diving since i was 12 years old. I really love the ocean and also trying new activities like paintball or rock climbing. I love to read and am into improving myself as a person. I cant wait to share my travel adventures with you. I love to be outdoors and do all sorts of activities like camping and skiing in the winter. But most of all I love to be scuba diving in the ocean, I even have my own scuba gear! Thank you for checking out my motivational blog I hope I can Motive8 you to get out and experience the world for yourself. I will be posting lots of pictures of me doing cool things, maybe swimming with dolphins or geared up and ready to play paintball! My friends are really important to me and I hope a couple of them will join me in contributing to this blog. Right now I am living in key west and get the chance to go snorkeling any time I want. very exciting change of lifestyle once I was able to start my own business. I am focusing on becoming a motivational speaker to encourage people to become more adventurous. this Is why I created the Motive8 blog for everyone out there looking to break out of their shells! hopefully my journey around the world can inspire you to travel and experience everything life has to offer. I will be writing about all sorts of travel and scuba diving locations, extreme sports and also what I am reading right now because that is also very important to live a well rounded life. Books are food for the soul and are a perfect way to spend a long flight around the world. You know what they say, Carpe Diem! so seize the day and enjoy my blog!